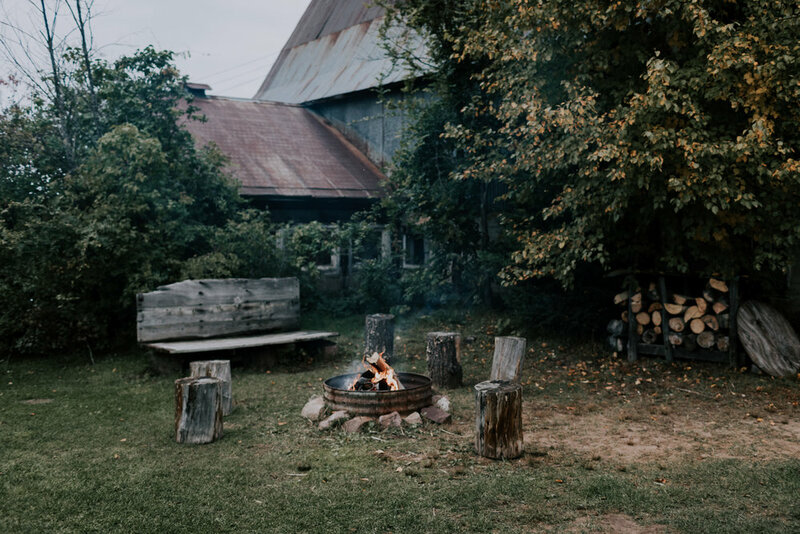 It was chilly, but the kind of chilly that you long for when you think of Autumn; you pull each other closer, the air smells sweet and earthy, the forest seems to have a melody. 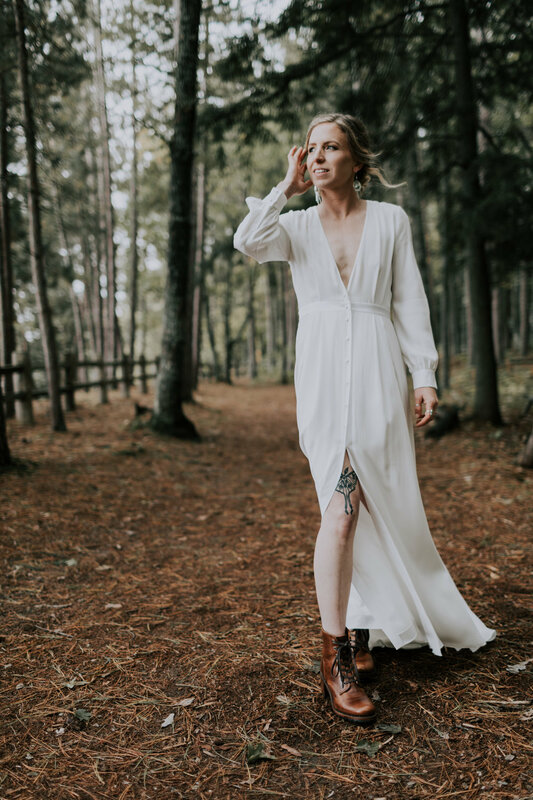 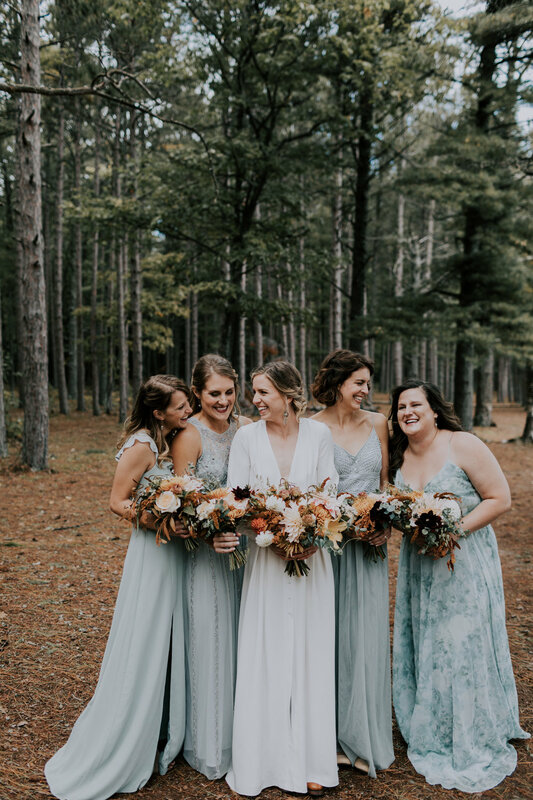 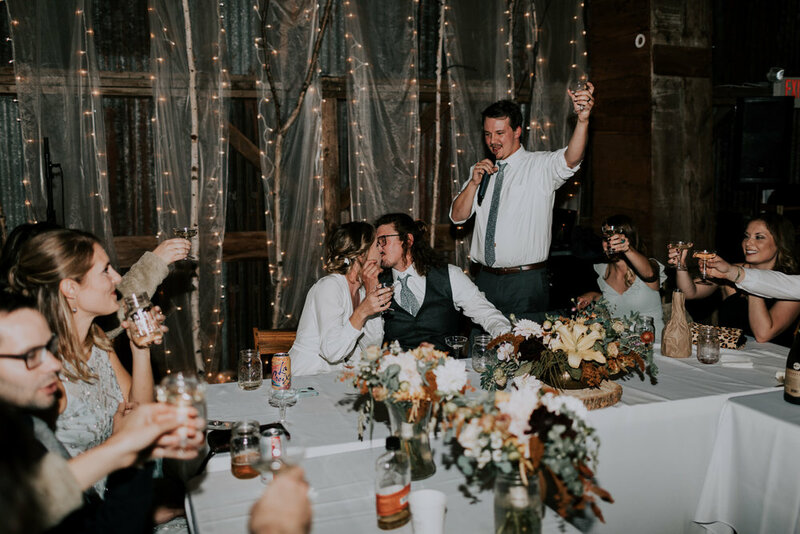 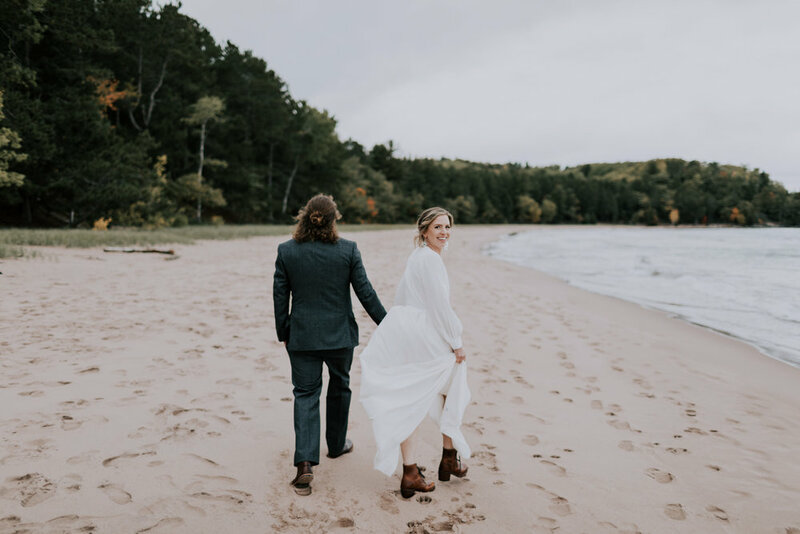 Addie couldn’t have looked more stunning in her dress from A & Bé Bridal Shop, hiking boots, and lightly pulled back hair. 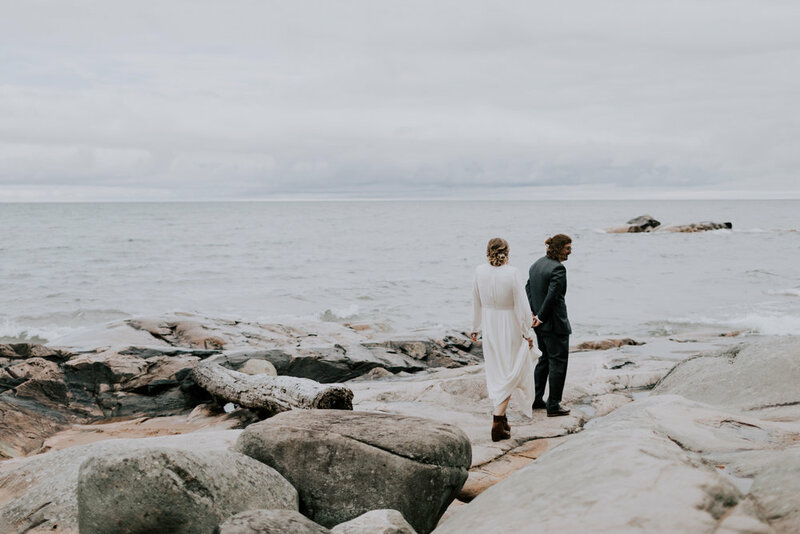 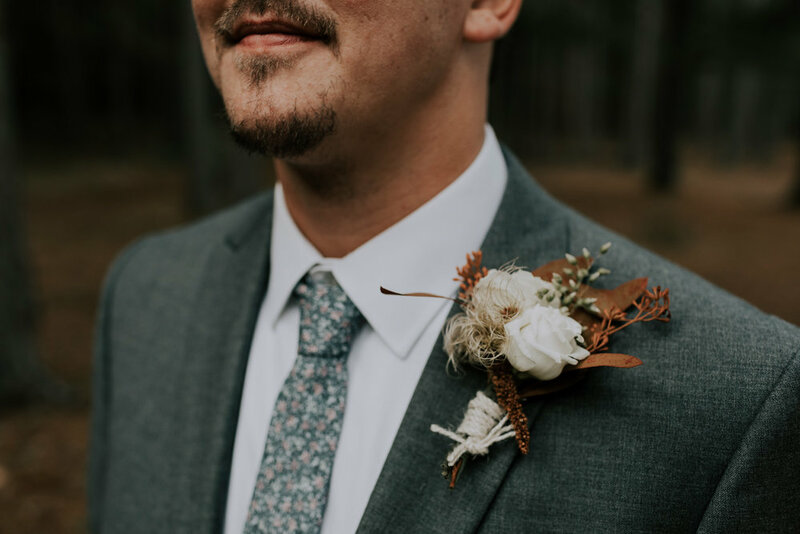 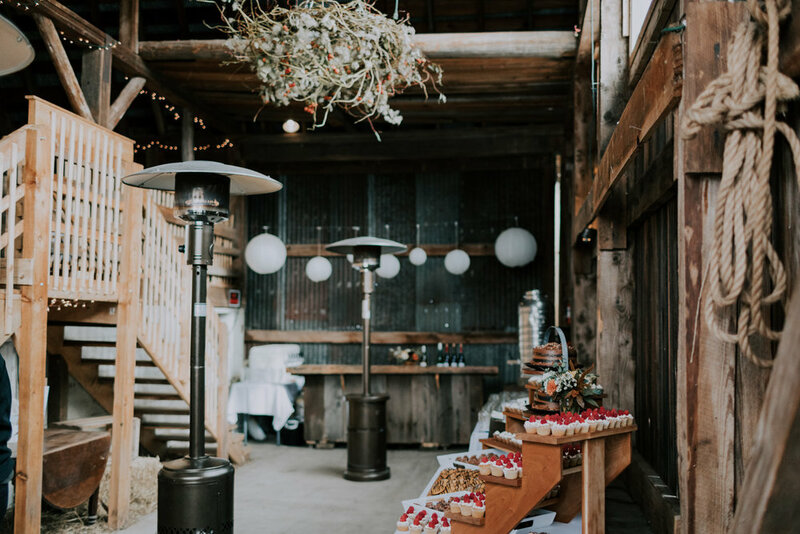 James waited for her at one of their favorite places along Lake Superior for their first look - they shared private vows, popped a bottle of champagne, and spent time alone before their wedding party joined for the festivities. 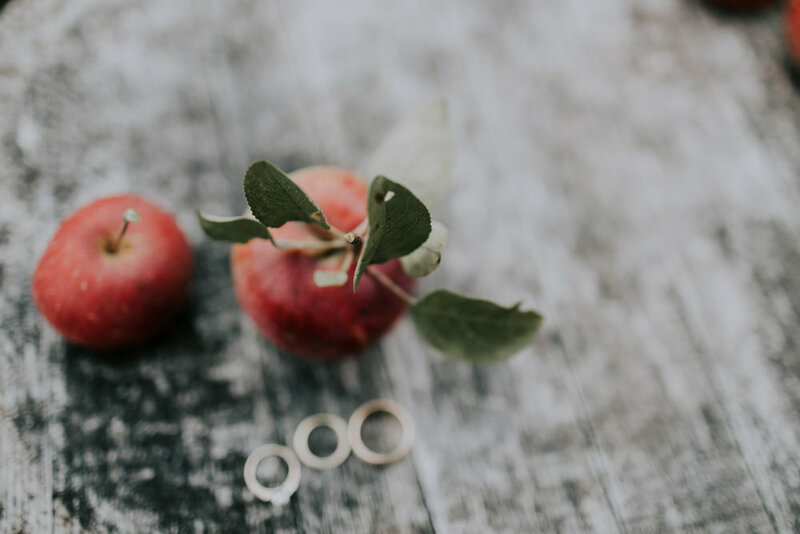 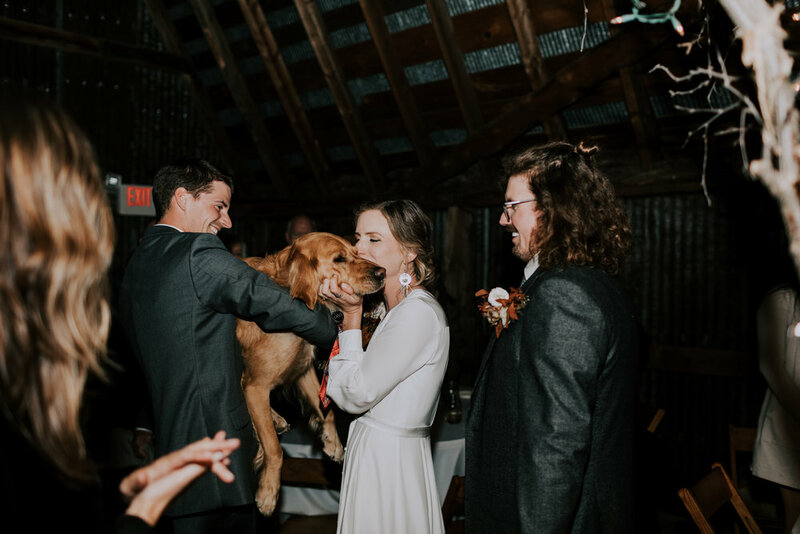 Addie & James said “I Do” at Belsolda Farm surrounded by apple trees, loved ones, and their best dog pals. 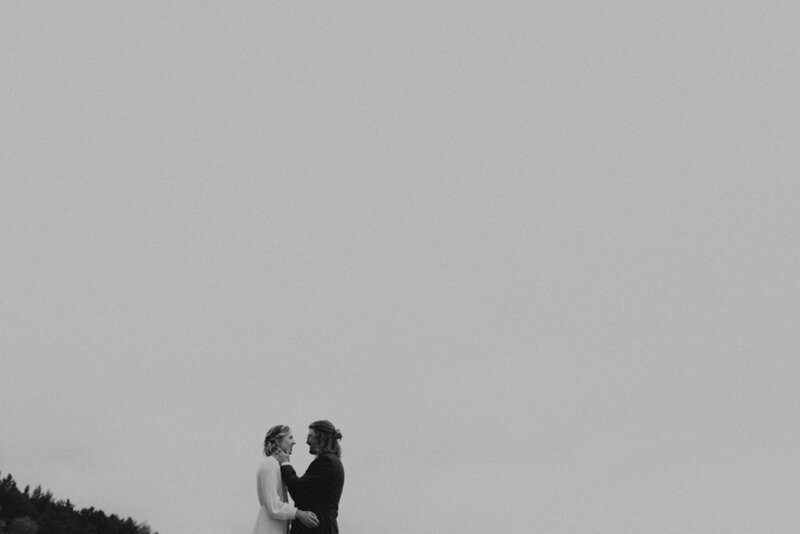 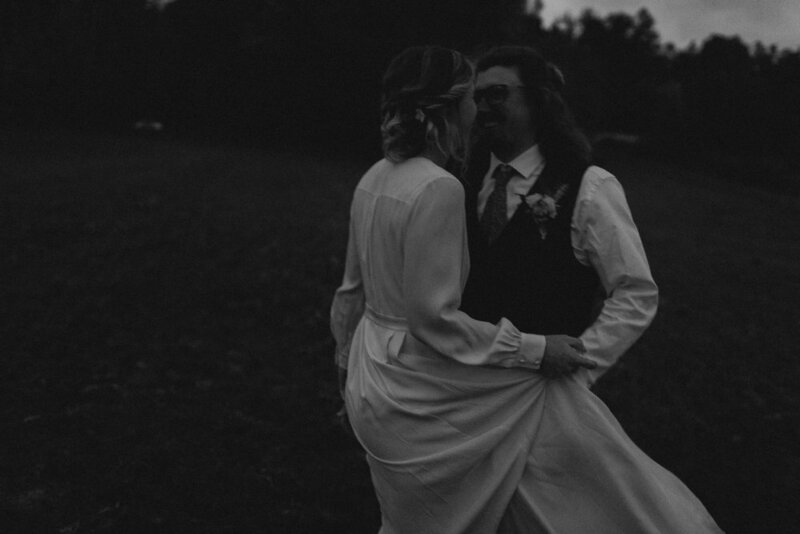 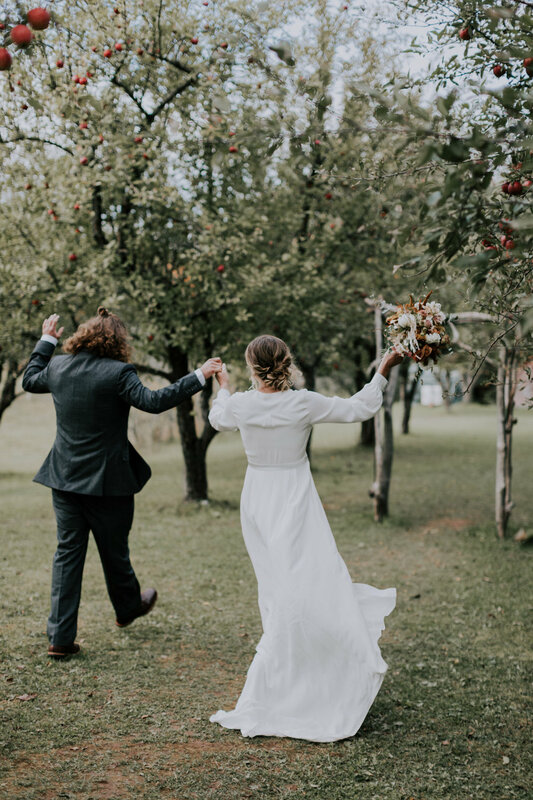 It was one of my absolute favorite days to be a part of and I will forever think of the happy couple dancing and spinning in the open fields at dusk, barely enough light for my camera to capture them - but just perfect enough to hold the moment forever.